AMD is reportedly aggressively taking CPU market share from its much larger rival Intel. The company is said to be on track to return to its Athlon 64 hay days when its architecture dominated the market, reports TPU. According to SVP and GM of Computing and Graphics at AMD, Jim Anderson, the company’s near term goal is to reach market share levels similar to those it enjoyed in the early 2000s. “I don’t see any reason we can’t get back to historical share levels that AMD has enjoyed in the past” says Jim. AMD is looking to achieve this by providing more performance and more cores at every price point that it competes in with its Ryzen CPUs, APUs and Threadripper workstation chips. The company plans to make an aggressive push in the market in 2018 in for both laptops and desktops. AMD is expected to introduce its second generation lineup of Ryzen 2000 processors next month. The new chips, as we’ve reported over the past couple of months, will deliver performance improvements as well as efficiency improvements. The new lineup will operate at higher clock speeds than its predecessor and will support faster memory, improving overall system performance. In 2017, AMD grew its desktop CPU market share by 50% and is looking to drive that momentum through 2018. The company is also reporting 40-50% market share at some retailers, those focused more on the DIY markets and custom builds like Mindfactory and Newegg. 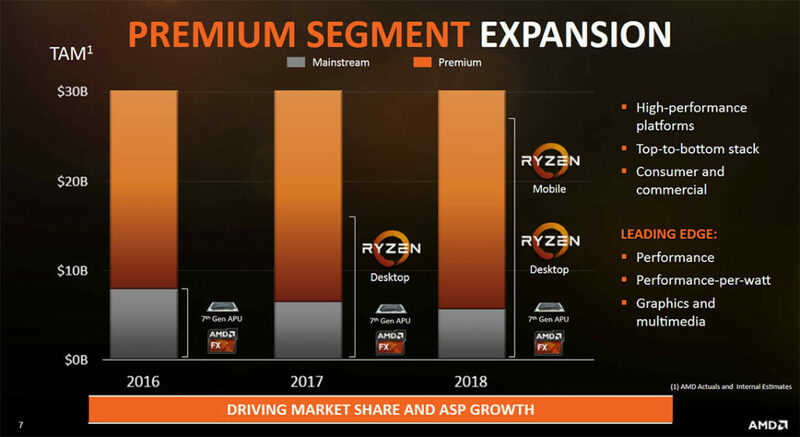 AMD is also expecting 60 new Ryzen based platforms from its OEM partners this year, the majority of which will be mobile designs that span from the market entry level all the way to the high-end. According to the company, the mobile market is worth $10 billion, giving it a huge opportunity to grow with a full stack of highly competitive products. The desktop market, which the company saw great success in with Ryzen in 2017, is worth $9 billion. 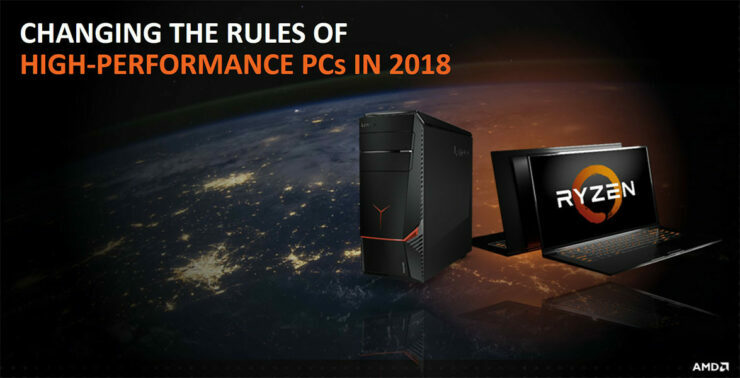 This means that the company is effectively doubling its growth opportunity in the market with its brand new Ryzen mobile products. 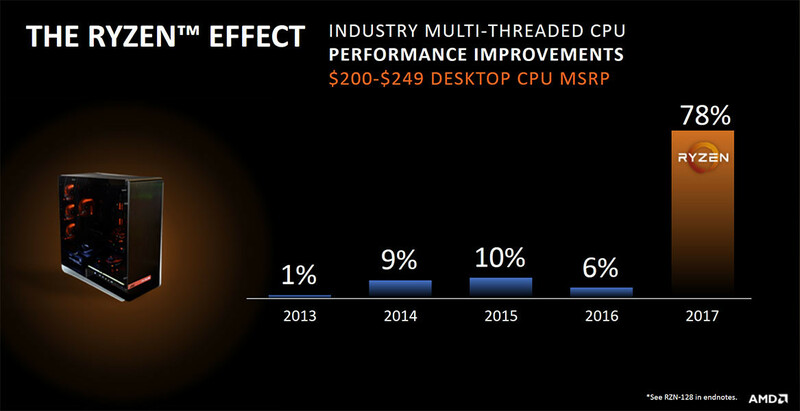 This coupled with its EPYC growth in servers means AMD is on track for a great 2018.